Here is the trailer for Funny Girl. Funny Girl is the 1968 film based on the Broadway musical. Starring Barbra Streisand and Omar Sharif, we are told the story of Fanny Brice, or at least the fictionalized version of her, seeing as Fanny was a real person with the same basic story as the Fanny Brice in this story. We meet Fanny when she is struggling to find her way onto the New York stage. She auditions for anything that will come along, and ends up getting a break on roller skates that turns her luck around. She meets a man named Nick Arnstein who helps her get a high-paying gig (while being totally handsome and charming). 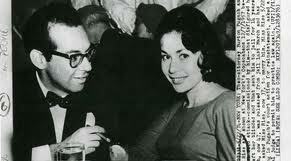 Months later, she is starring in a big Ziegfeld show and Nick Arnstein shows up to celebrate with her. They hit it off and then he vanishes off into the night to do some “business.” Months later they meet up again, and after trying to play it cool, Fanny lets her love be known, and Nick reciprocates. The rest of the film takes us through ups and downs in Fanny and Nick’s life, leading to an ultimate decision of whether or not they are meant to be together or not. My husband didn’t know that this movie was mostly a love story, and expected more of a “struggle for the career she always wanted” from Fanny. However, it is more of a love story than anything else. It is a great, classic musical, and I definitely recommend a viewing. Funny Girl is available on DVD from Amazon for $10.49. Last week, I had the pleasure of taking a meeting where Billy’s Bakery cupcakes were provided. Since they were super fabulous and delicious, I figured that I would check out the Billy’s Bakery website and see what else they have to offer. If you are in NYC, you can have Billy’s Bakery delivered to you by a real person, but since I imagine that most of the readers of this blog do not live in NYC, I will stick to only the items that can be shipped. You can get cute little gift packages in different denominations. This is the $40 gift package. Look at the tin! My mother makes delicious baby banana breads, and my husband makes it too. I love it. So I’m all about ordering a 6-pack of these mini banana breads to use as holiday gifts, since I don’t actually make it. 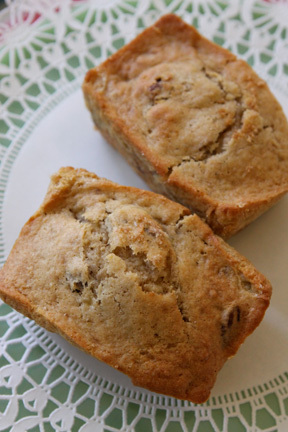 The box of 6 mini Banana Nut loaves is available from Billy’s Bakery for $18. I can TOTALLY vouch for the cupcakes, they were most and delicious and decadent, and really, that’s what cupcakes should be all about. I picked the classic cupcake sampler here, but they have chocolate, vanilla, red velvet (which I had and it was super good) – you can pick whichever cupcake combination you want. 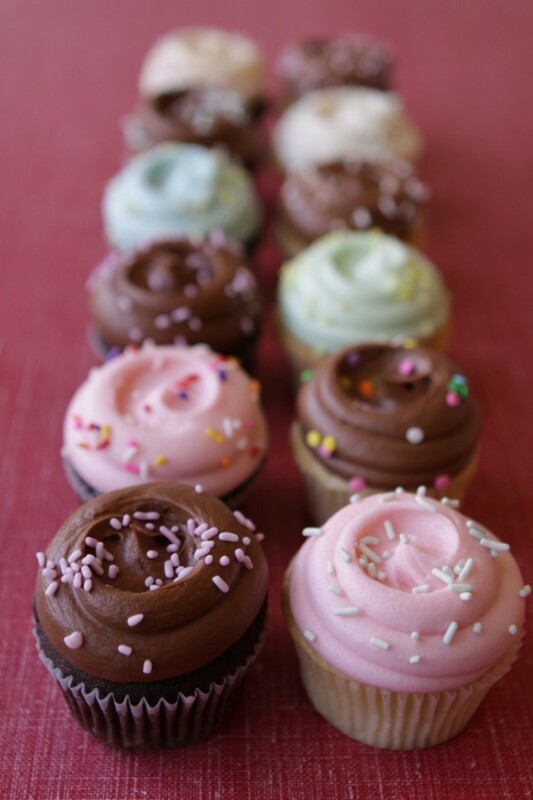 The classic cupcake sampler dozen is available for $36. 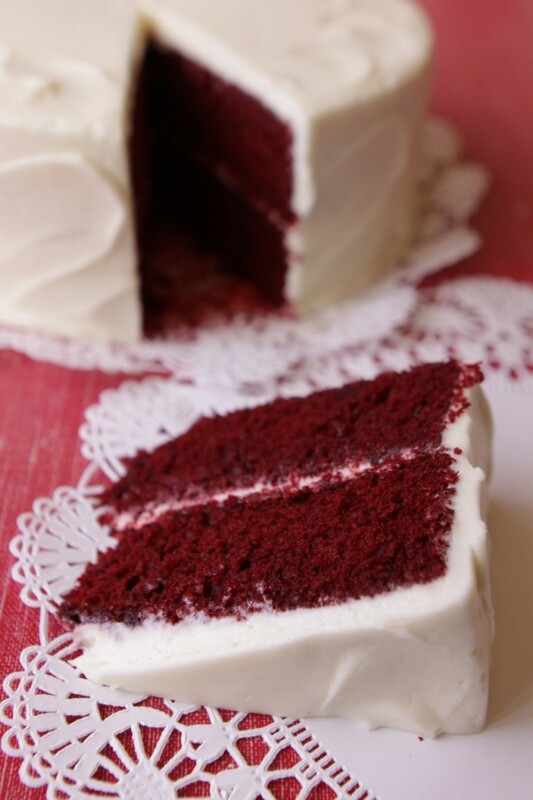 Remember what I said about the red velvet? They have a whole cake you can get! For $45, you can feed 10-12 people this deliciousness. 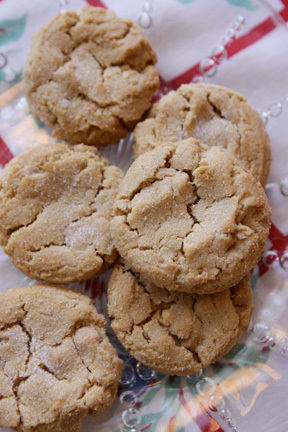 Another favorite of mine (my Dad too) is peanut butter cookies, and these look really yummy. The package of 6 cookies is available from Billy’s Bakery for $4.50. 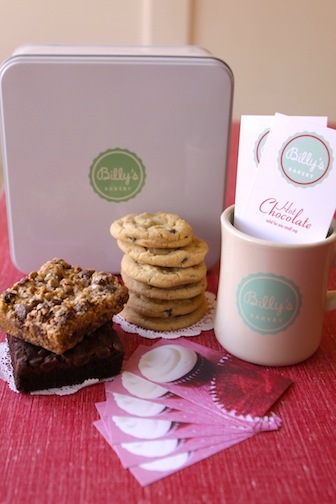 If you need to order a sweet gift for the holidays, I would recommend checking out Billy’s Bakery. Those cupcakes were super good, so I have high hopes for everything else on their menu. Here is the trailer for The Captains. The Captains is an ego trip for William Shatner disguised as a documentary film. Seriously, there are moments in The Captains so self-indulgent that it gets completely out of hand. However, as someone who watched the entirety of Star Trek: The Next Generation in 2011, I am definitely interested in the idea of the film, talking to all of the actors who have played Star Trek captains over the years. The captains were played by Avery Brooks, William Shatner, Kate Mulgrew, BAMF Sir Patrick Stewart, Scott Bakula and most recently, Chris Pine played a young Captain Kirk in the recent rebooted film series. So, Shatner goes around the world, meeting with the captains and talking about their lives and careers as well as the impact of playing a Star Trek captain. Interestingly, all of the actors have theatre backgrounds, which I always enjoy. All of the television captains also talked about the hours put in playing a captain on Star Trek, apparently a job that will eat up 18 hours of your days. If you are into Star Trek at all, a look at some of the old footage mixed with Shatner’s visit to a Star Trek convention will totally be for you. I like William Shatner even though he is a little crazy – perhaps because of it. The Captains was a really good idea, and a strong platform for Shatner’s brand of crazy. The Captains is available on DVD from Amazon for $12.99. Old clip of RuPaul on the Arsenio Hall Show. I love RuPaul, and I love even more that the message has not changed in all of these years! During Britney’s Circus tour, videos played during costume changes, and this one using Marilyn Manson’s version of “Sweet Dreams” was super hot. Amazing behind-the-scenes video of the Spring/Summer 2012 Alexander McQueen show. Love this Brian Atwood video, inspired by some new color block heels. I’m going to need to do multiple Sights & Sounds posts, I have a lot to catch up with. Here is the trailer for Crazy Love. Crazy Love is a documentary that is amazing when you don’t know anything going in. If you are interested in seeing this, do not read my blog post. At the beginning of the story, we hear about a beautiful girl named Linda Riss, who is living life and meets a man named Burt Pugach. They start dating and he wines and dines her, and impresses her with his extravagant lifestyle. Linda plays along until she finds out that Burt is married and has a child. They break up. Linda meets a nice man and after some time, they become engaged. Burt, who was obsessively in love with Linda, hires some men to attack her and they throw lye in her face, disfiguring her eyes and leaving her almost completely blind. Burt goes to jail and remains there for some time, while still professing his love for Linda. He starts sending her money, and he is let out on parole so that he can keep sending her money. The story moves on, and the SHOCKER that I was NOT expecting at all was this. 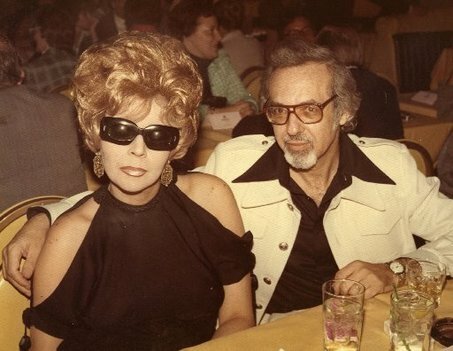 Burt and Linda ended up MARRIED to each other. Yeah, the guy who paid people to attack her and ruin her life. Hmm. The rest of the movie was me trying to understand how this happened, but it seems sort of obvious. Linda was in a terrible situation without being able to find someone to share her life with who wasn’t turned off by her injuries or intimidated at the thought of having to care for her. Burt came back around and said that he loved her and would take care of her. I typed that but I still don’t really get it. Not my situation though. Even if you have read this far and have spoiled it, I still suggest you watch it, I thought it was really well done, and it was fascinating. Crazy Love is available on DVD from Amazon for $15.99.